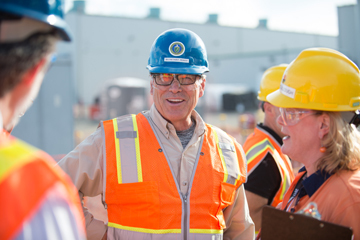 Department of Energy Secretary Rick Perry visited the Hanford Vit Plant on a tour of DOE facilities in the Tri-Cities on Tuesday. 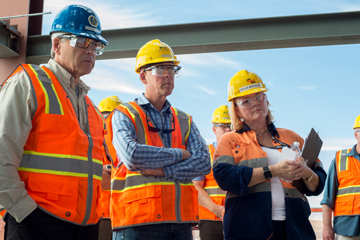 Perry and local members of Congress walked through areas of the Pretreatment and Low-Activity Waste facilities and received briefings on the progress of Direct Feed Low-Activity Waste. The DFLAW approach will allow the Vit Plant to begin making glass as early as 2022. Perry was joined on the tour by Congressman Greg Walden and representatives from the offices of U.S. Senator Maria Cantwell and U.S. Senator Patty Murray. Office of River Protection Manager Kevin Smith led the tour with Bill Hamel, Federal Project Director for the Vit Plant. 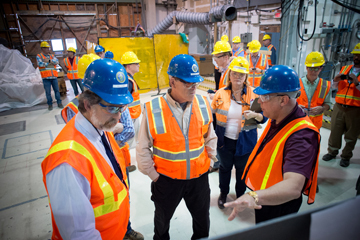 Congressman Newhouse emboldened the employees by telling them they are “working on some of the most important work the department does.” He acknowledged the next legacy and huge challenge ahead is to clean up Hanford’s waste. “My hat is off to all of you who participate in this (work),” he added. 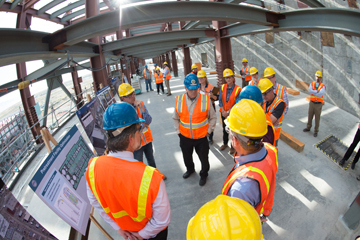 To view photos from the tour, visit https://www.flickr.com/photos/hanfordvitplant/albums/72157685121209814. Copyright © August 2017 Bechtel National, Inc., All rights reserved.